Lively, outgoing, and inquisitive personality. The Lowchen is alert, intelligent, and affectionate with the overall qualities of a loving companion dog. 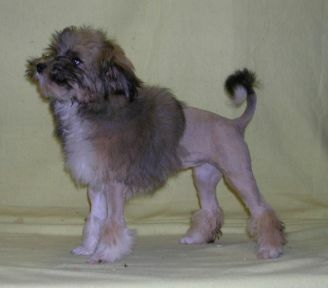 Is also called the lion dog. Lowchens are small, elegant, agile, and light on their feet. Usually they are bright, lively, and playful, yet also sensible and low-key. Lowchens have a long coat that comes in many colors and don't shed much. They don’t usually don’t require a lot of training or need a lot of exercise. They are quite responsive. Lowchens get along well with strangers are healthy and long lived.